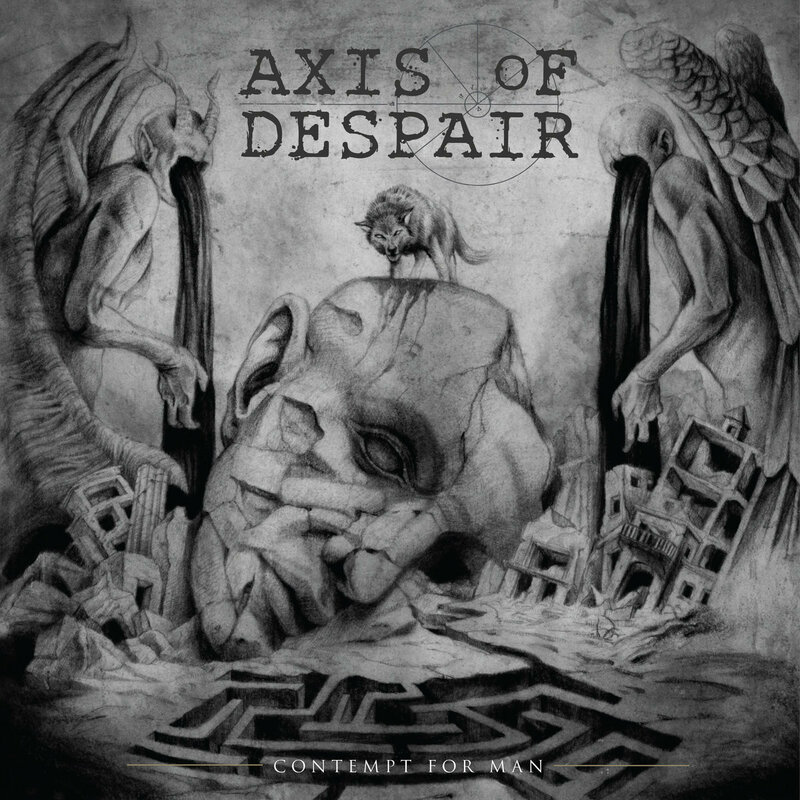 Axis of Despair features former and present members of such bands as Nasum, Coldworker, Infanticide, Volturyon, Livet som insats, Nervgift and Overtorture. To be exact: The band was formed by former Coldworker members Anders Jakobson (drums), Oskar Pålsson (bass) and Joel Fornbrant (vocals) in the end of 2013. About half a year later the line up was completed by Livet som insats member Kristofer Jankarls playing the guitar. The band continued to work on songs until the late spring of 2015 when the first 12 tracks were recorded to be released on two, sort of, conjoined 7″ EP’s. “Contempt For Man” is the swedish grind super-groups first full-length album. It is a pulverizing bull dozer of intense grind-core.